Cleaning workers employed by Vinci on London Overground struck on 5-6 April, demanding a wage increase to the London Living Wage of £10.55/hour. Currently the workers are paid £10.02. The workers were previously employed by Carillion, and were transferred to Vinci when their previous employer went bust. Vinci has refused to offer them a pay increase. Rail union RMT, which organises the workers, is also demanding that the cleaners now be brought in house and employed directly by Arriva Rail London, the train company that operates London Overground. 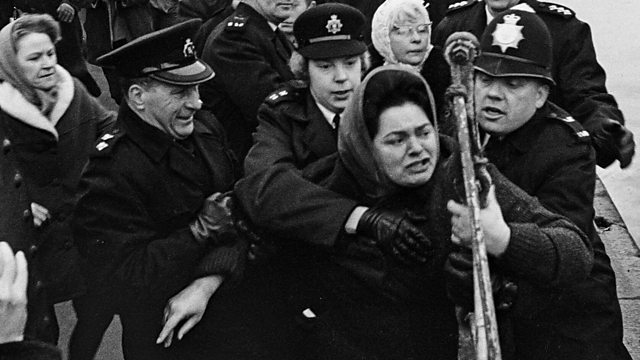 Hull's Headscarf Heroes on BBC iPlayer tells the story of a inspiring fight by working-class women in Hull to put workers’ safety at sea ahead of profits. 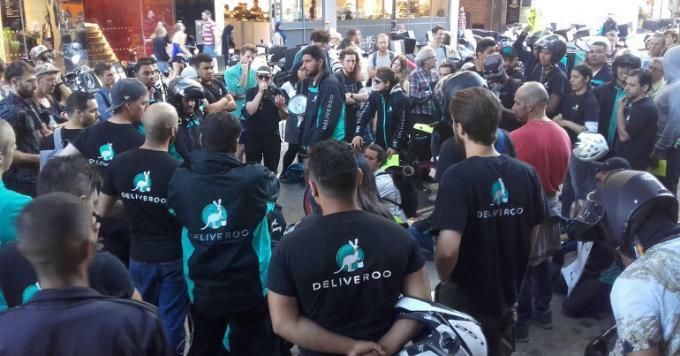 Nottingham Couriers’ Network voted to affiliate to the IWGB union on Monday 25 March, another step in increasing our organisation on a national level in the struggle for better pay from Deliveroo. This follows a significant growth in membership, in Nottingham and elsewhere, and improved coordination nationally. Our national structures are progressing and we have a national programme of “rolling strikes”. Several places are holding demonstrations, and other types of industrial actions as well as strikes, for example systematically rejecting certain types of order over a given time period. On Tuesday 19 March, Hackney’s special needs transport workers struck to demand shift allowances. Two dozen strikers joined the picket line at the depot in Leyton, and were in good spirits despite the drizzle. Pickets included both passenger escorts and drivers, and the majority were black and ethnic minority women. Only four workers had broken the strike, which was the first of six named days of action. Hackney Labour Party activists attended the picket line and told strikers that although the Labour Council is frustrating them, rank-and-file members support them. Outsourced workers from four trade unions united for a day of action on Tuesday 26 February. Members of the IWGB at University of London, UVW at the Ministry of Justice, and PCS at the Department for Business, Energy, and Industrial Strategy all struck to demand better pay and conditions, and direct employment. RMT London Transport Regional Council, which organises outsourced workers on London Underground, also supported the demonstration. Guards' jobs: nail down the deal! 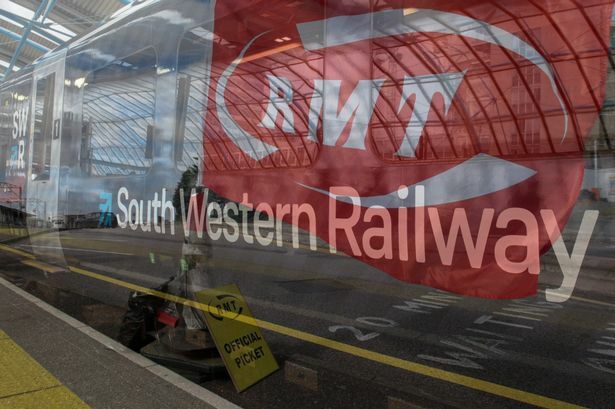 Workers on South Western Railway (SWR) have struck another huge blow against Driver Only Operation, winning an agreement that a safety-critical guard will be retained on all SWR services. Guards in the RMT had recently returned a resounding 84% majority in favour of further strikes, in a re-ballot forced on them by the restrictions of the anti-union laws. RMT had planned a strike for 22 February, but has now suspended this following SWR’s offer. Checks only after 82 days? Tube union RMT is preparing to ballot members working in fleet maintenance for industrial action to resist an attempt by London Underground to extend train preparation schedules. Currently, trains are prepped, with all basic checks being performed, every 24 hours. New proposals from the company would extend that by varying lengths on different lines, to a 96- hour schedule on some lines and an 82 day one on others. Read more about Checks only after 82 days? Care workers employed by charity Alternative Futures Group are balloting for strikes to resist a pay cut announced by their employer in November. The workers, who are members of Unison, face a cut of up to £40 following AFG bosses’ announcement that they will no longer pay an additional allowance for workers who sleep overnight at service users’ homes as part of their shift. Merseyrail is one of the Train Operating Companies (TOCs), where workers have been resisting the imposition of Driver Only Operation (DOO), which involves the abolition of the safety¬critical role of the guard. Guards are represented by the RMT union, with drivers overwhelmingly members of Aslef. 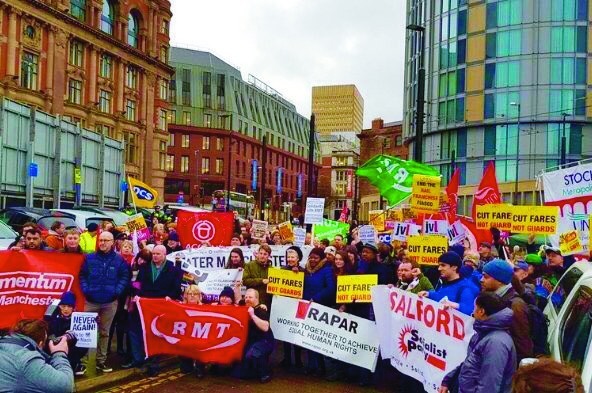 Among the TOCs, the Merseyrail is uniquely strong because it is the only one where Aslef drivers in large numbers have respected RMT guards’ picket lines. However, the Merseyrail industrial action has stalled for months now.